Did you know that in 2014, all industries suffered a 15.7 percent employee turnover rate? 15.7 percent is a significant number that adds up to major costs related to hiring new personnel. The U.S. Department of Labor estimates that it costs about $14,000 to replace an employee. Other sources say that it costs much more than this—sometimes up to $120,000—to replace an employee, depending upon how much that individual was paid. How much money is your company losing due to employee turnover? Because corporate turnover costs so much, employers are understandably interested in finding ways to increase employee retention. Just type “ways to prevent employee turnover” into your Google search bar, and you’ll find thousands of articles offering solutions to the turnover dilemma. Ideas are well and good, but do any of these solutions actually reduce turnover rates? There is one solution for employee turnover that is not discussed often, but is nonetheless powerfully effective at increasing workforce retention: a social learning management system (LMS). What do learning management systems have to do with employee retention? A lot. First and foremost, eLearning systems have the ability to not just influence company culture, but to transform it. Do you want to work for an organization with a dull, negative culture? Of course not, and neither do your employees. Organizational culture that is engaging, positive and employee-centered attracts and retains top-performers. Employers can take a step toward changing company culture for the better by implementing a quality social LMS. Sometimes companies lose excellent employees due to illness, lack of mobility or relocation. 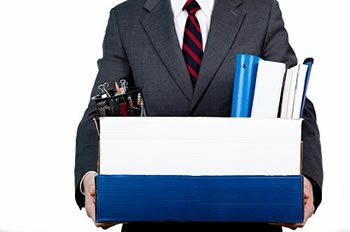 When an employee can’t physically come to work, he or she is often let go, even if the organization would love to keep him or her. Did you know that an eLearning system enables employees in remote locations to continue to work? Since all of a company’s data can be stored on a cloud-based LMS, any authorized user can access training materials and work-related information any time, anywhere, on any device connected to the Internet. A social learning management system helps you hold onto the employees you depend on, regardless of their location. Employers can easily give their training programs a makeover by implementing a social learning management system. As opposed to classroom-style learning, LMS-based training is interactive, social, fun, comprehensive, and appealing to the individual learning needs of employees. You’d be hard-pressed to find an employee who does not prefer eLearning to in-person training. You are not stuck with your company’s high turnover rates; there is plenty you can do to mitigate the situation. Start by investing in a social LMS like TOPYX®. By improving company culture, enabling individuals to work from remote locations and making training more enjoyable, TOPYX can help you retain your employees. Best of all, TOPYX charges absolutely no user fees. Whether you have 20 users or 20,000, the low, flat rate of TOPYX remains the same. Employee turnover is no laughing matter. It can hurt your bottom line, decrease morale and give your organization a bad reputation. Hold onto your employees and your company’s integrity by implementing a social learning management system that meets the needs of your workforce. The answers to all the questions about what an LMS is and how it can benefit your organization.